Denturists have been serving the public in Ontario since 1974, when legislation was enacted to govern and license our services. Denturists are licensed to fabricate, repair and adjust complete dentures, partial dentures and removable implant retained dentures. A complete denture is one which replaces all of the patient's natural teeth. 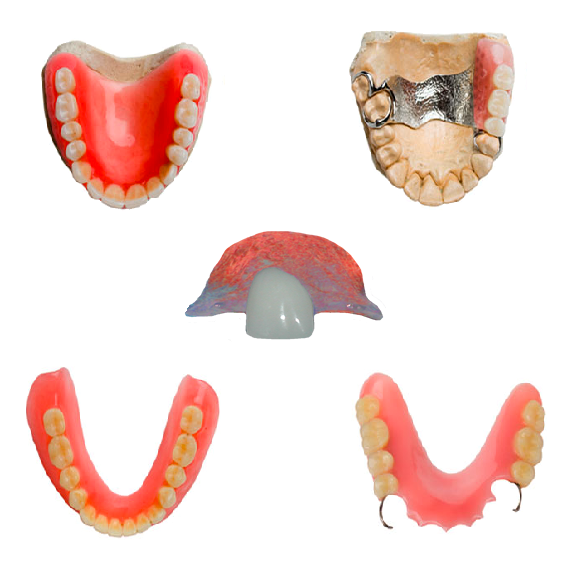 A partial denture is one which replaces one or more teeth but not all of them. A removable implant retained denture is a denture which is supported by an abutment (made of titanium) which is integrated into the bony tissue. The Denturist professional designation is DD, which stands for Diploma in Denturism. The literal meaning of the word Denturist is "one who makes dentures". A Denturist's practice is devoted to the fabrication and repair of dentures. You can go directly to a Denturist for treatment without a referral from another health care practitioner. Denturists provide the most cost- and time-effective service. Unlike other health care practitioners who provide dentures, most Denturists' laboratory work is done on the premises and by the Denturist who sees the patient chairside. Denturists are uniquely qualified to provide quality, custom dentures. Denturists are skilled in the clinical and laboratory aspects of making dentures – they perform both jobs and have first-hand experience working with the patient. Denturists study the clinical and technical aspects of removable dentures and general health longer than any other oral health care practitioner. The College of Denturists of Ontario acknowledges that Denturists are “Denture Specialists”. Anyone can consult a Denturist without a referral from another health care professional. Denturists provide the most cost- and time-effective denture treatment. Most Denturists’ laboratory work is performed on the premises by the Denturist who sees you. This ensures quality of care is consistent and personal. Your Denturist’s expertise and professionalism make him or her the best possible choice to help you derive the maximum benefit from the most advanced denture technology. Most Denturists’ fees are covered by dental plans, Veterans Affairs, Social Services, NIHB and other private insurance companies. If you have a dental plan, ask your Denturist to assist you in determining what specific services are covered. If you do not have a regular dentist or need a referral to an oral surgeon, your Denturist will be happy to refer you to the appropriate practitioner. Some Denturists will make special arrangements for home or hospital visits. If your dentures are more than five years old, make an appointment to talk with your Denturist. You can improve your appearance, self-confidence and possibly your health with quality replacement dentures. All information above is from the Denturist Association of Ontario website.